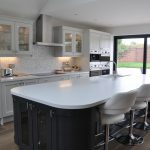 Our Clients stunning #Zenon High Gloss Acrylic #Kitchen with #Smeguk appliances, White #Corian worktops and #Camaroloc Flooring. 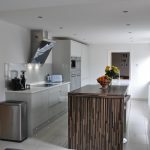 Creatively designed and supplied by Schofield Interiors Limited locally in #Thorne. 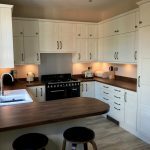 Clients Buckingham Cashmere and Dakar Shaker Kitchen with White Starlight Quartz Worktops fitted for our clients in Lakeside, Doncaster. 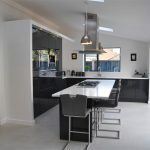 Clients Stone Grey Ash Kitchen with Absolute Black Granite Worktops. 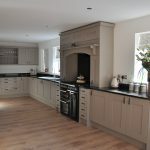 Clients Buckingham Stone Grey Ash #Kitchen and Utility with Absolute Black #Granite #Worktops, #SmegUK Appliances, designed, supplied and fitted for our clients in #Hatfield. 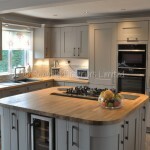 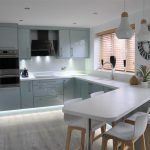 Clients #Kitchen designed supplied and fitted in #Hatfield. 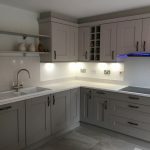 Welford Handleless #Grey gloss Kitchen with #Smeg UK appliances, #Corian worktops and a contrasting 60mm Laminate worktop. 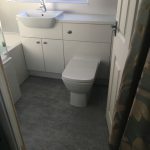 Clients bathroom designed, supplied and fitted in Thorne.